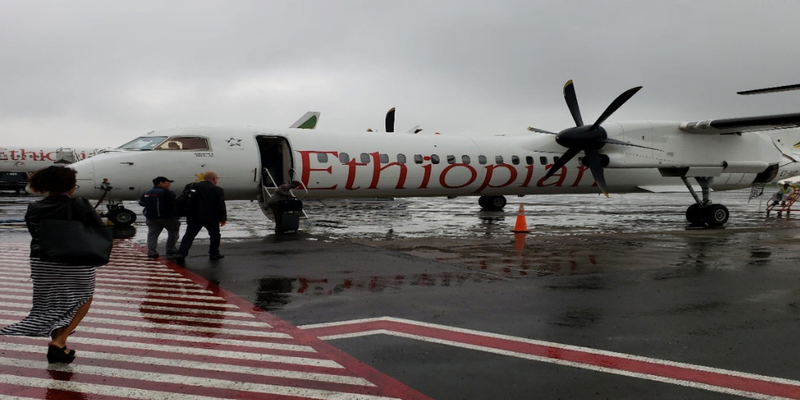 Addis Abeba, January 16/2019 – I switched off the overhead light, relaxed in my seat aboard the plane and closed my eyes; I let my mind drift off to the home I craved to visit for years. Not knowing what awaited me, I rushed to revisit all my memories one last time and wished nothing had changed so I could relive them all again. I smiled at my selfishness. The lights came on, and I heard the voice of a man saying, “Welcome to Ethiopia. The local time is 8:00 am.” I looked out through the window of the Airbus only to see the poorly illuminated runway drenched due to the heavy rain that was pouring before we arrived — not the weather I was looking forward to. The endless high-rise buildings in Addis Abeba (Finfinnee) are mostly unfinished. These high-rises helped in blocking out the colorless corrugated metal of the shantytowns from view. The line was long, and I waited patiently with my family in our seats, as the front rows of tired and over-packed passengers gradually made their way out through the plane’s narrow aisles. Once we exited the plane, we hurried to the baggage claim. I wished I could skip the tedious waiting for luggage and run outside to greet family and friends, who were waiting for hours. Unfortunately I couldn’t, the process of getting our stuff took hours. Once all baggage was accounted for, I sprinted through the door. I immediately felt the cool weather touching my skin. Loving the feeling I looked across, looking for familiar faces outside the terminal. ” Xinnoo!” It was a dear friend, more like a brother calling me with my nickname, waving his hand among other friends and family, who happened to know of our arrival. That voice brought old memories and instant familiarity, an assurance of comfort and belongingness. I felt something that I hadn’t felt in years — a joy that one can’t put in words. No single person needed my introduction here. I am one of them. This is my home, I belong here. After long hugs and laughs, I turned around and proudly introduced my kids who were already greeting and hugging everyone around them. After leaving the airport I noticed that the Bole area I knew was no longer there anymore. With more confusion and amusement, we drove to my aunt’s house. 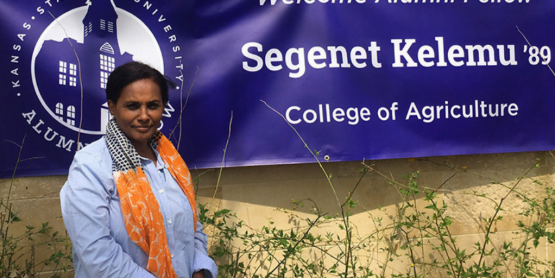 She recently relocated to Tullu Dimtu, which is on the outskirts of Addis Abeba/ Finfinne where more family and friends were waiting for us. As we rode to the house, we got our first peak at Addis. The smell coming from the garbage on the sides of the streets bothered my kids. Something that I definitely didn’t want my American kids who are new to the country to experience on the first day of arriving in my country. Losing internet accessibility was quite an experience. It felt like I was disconnected from the world. That afternoon I insisted getting phone. My niece took us to the Bole Medhanealem branch of Ethio Telecom, the state agency with a monopoly on the country’s telecommunication industry. I was told we’d have to register our phones there in order to obtain SIM cards and access the web. Standing in the endless queue of people, I was appalled by nobody speaking out or protesting despite some people cutting into the line. After some time, my husband and I decided to take the responsibility of guarding the integrity of the line. We politely showed the new comers the end of the line. People who were inline were pleasantly surprised and thankful for our actions. We carried out our civic duty on the same day of our arrival. After a good night’s sleep, we headed to the center of the city I call home. The short visit to Ililii Hotel, a famous Oromo owned hotel in the town was followed by a drive to the city’s Abnet district. I failed to recognize the streets I once walked on a weekly basis. The area has completely changed. The once famous Hotels are now invisible and small. Some of the changes in the city made me feel like an outsider. Likely due to my exposure to the concrete jungles of the west, everything in Addis seemed so much smaller and older to me than before. My next stop was to the neighborhoods which hold the most precious of my memories. Gadam sefer and Xaliyan Sefer are the districts in town where I have the most profound connections. It’s where I took my first breaths of air. The feeling of familiarity when you step into your neighborhood is unreal. I did not know how satisfying it was going to feel until I finally stood there. The gravel roads I knew were now paved with asphalt and cobblestones. Even though it is a positive change, a part of me felt this change robbed something from the originality of my childhood. I was disappointed in a way. I grew up in a very tight-knit community where everyone knew each other. Something that remains the same until this very day. Everyone looks out and cares for each other. These places are where the true loving and caring spirit of community is archived. With my unannounced return, I was able to confirm this notion. People showered us with love and hospitality. Even though we kept telling them that we had just finished eating, they refused to listen, and organized a potluck banquet for us out of the little they had. That is how we do it In Taliyan Sefer, where my mother taught us selflessness and kindness. In this neighborhood the mother I called my own is not only my own, but also everyone’s mother. In this neighborhood, love and happiness is organic — something rich folk inhabiting large compounds tend to lack. In an exchange with Oprah, comedian Trevor Noah once explained how happy he was growing up in a poor neighborhood in South Africa by saying “having less forced you to enjoy what you have, which is each other.” Well in my neighborhood people similarly enjoy each other’s company. It was great for me to go back as a tour guide for my kids and my husband who happens to be from a different part of the country. I wanted my children to be able to picture the place and upbringing that contributed to me being the woman I am today. A few days later, we loaded a rental car with our stuff and traveled to the city of Ambo, 120 km west of Addis where half of my family lives. I was anxiously eager to meet my relatives. We drove for less than two hours from Addis and arrived at dark. There were a lot of cars and storefronts covering the open spaces I once knew. Barely able to recognize the town that had completely transformed since I last set foot in it, we arrived at the residence of one of my aunts. As our car stopped she came outside and embraced me in a tight squeeze. Behind her were ten or so people waiting for their turns to welcome us. We took turns greeting everybody. I hardly recognized any of them. Everyone had changed. I had to jog my memory in order to remember who was who. After introductions or rather reintroductions, we sat for dinner and late-night coffee. At the dinner table, I heard many first hand stories of the daily life that for years was half a world away from me. On this day, I sat among survivors of the brutal crackdown against the Oromo Protests of recent years by government forces deployed with orders to shoot at protesters. Ambo was a hotbed of peaceful resistance and protest activity. The town suffered many casualties as our unarmed townsfolk and neighbors were gunned down while marching the streets denouncing oppression. The youths of my bloodline are living witnesses to the horrors. Listening quietly as they shared accounts of courage and valor, I tried to picture the chaos they had to live through. One of my nephews turned to me and asked “Do you know what kept us going? Our pride. The pride of dignity given by Waaqaa (the Creator). We just refused to surrender our dignity.” I heard everything that day, their strategies for survival, the promises given to each other. Even if they went to jail, got beaten every day, or lost loved ones they took an oath to carry on with the protest movement. “We’d rather die with our heads held high than live with shame in our land.” No trace of a desire for revenge in their voices just the pleasure of being able to see the dawn of a new day. I listened to their stories as I looked at the scars on their faces. These were sentimental stories I listened to over the course of one evening, whose events I will surely pack away in my mind for years to come. The next morning, I got up from the bed and opened the window to look out. Ambo was quiet. Up above the mountain there was a big cloud covering the city. I gazed through the morning clouds reminiscing about something from the past. That morning as friends and family joined us, we went to visit Ambo University. After our visit to the university campus, we went to my grandmother’s house where my uncle now lives. My grandmother, Sinqii Anaa, was a prominent woman in the town, who passed away when I was in middle school. After a short but sweet stay at my grandmother’s place, I walked around the neighborhood looking for anyone I might know. Later in that afternoon, with the heavy rain pouring down, we rushed to our car and drove to the nearby town of Gincii. Gincii is also another historical place. The first protests of the groundbreaking Oromo Protests movement took place in this town three years ago. 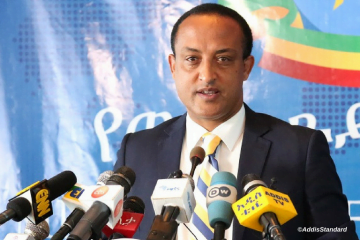 It is that movement that rhetorically spilled the vase over and later ushered in the era of national reform Ethiopia currently finds itself in. The historical revolt commenced in Gincii. There, we had time to have conversations with the Qeerroos. Qeerroo is the collective name given to the Oromo youths who spearheaded the above-mentioned peaceful resistance to the armed onslaught of government troops. Thankfully their sacrifices have not been in vain and those who died contributed to the changes the country has undergone this year. We listened to their stories and grievances. Those grievances leave me worried to this day. The staggering number of unemployed youth, who are feeling left out of the struggle they paid a big price for would be a problem. That was one of the many encounters that helped me to see the challenge the country is facing behind all the celebrations. I would very much like to see an initiative to create community youth centers that could cater to their needs. They need jobs, they need hope and they need to be heard. They are by and large neglected, which is worrying and shouldn’t be the case considering their roles in permanently denting the oppressive establishment. The flight to Asosa in the Benishangul-Gumuz region, was smooth and brief. I had never been to this part of the country before. My husband’s nephew came to welcome us with his family. The local women wear traditional garments known as Tobii — the first thing that caught my eye (it is similar to what the Sudanese women wear). I loved it! I was given one on my return. From Asosa to Kobor we drove through the eye-catching landscape and the corn fields. My kids were amazed by the beauty of the landscape; it is spectacular. The road was smooth and the trip went on without incident until we split from the main road to Kobor. There we encountered a chanting crowd. A Bajaj (three wheeled rickshaw used as public transport in these parts), motorcycles and trucks full of young kids approached our vehicle and started singing resistance songs. For a moment, we weren’t sure what was going on. Then it became clear that it was all part of an elaborate surprise welcome ceremony for my husband. They kept it secret and used the element of surprise to welcome their famous son. I felt a little uncomfortable, even my kids were nervous upon coming across the jovial procession. Curious, as children are, they kept asking me why people were waving their hands at them. When I explained that this was to welcome us, my kids continued to press for answers. “How did they know we were coming? And why was EVERYONE in town standing outside to welcome us?” While reassuring my kids and simultaneously teasing them, I kept my eyes on the road even thought I wasn’t the driver. I was worried about the safety of those kids riding in the back of pickup trucks. My heart pounded whenever they went up and down hill, but they seemed accustomed to it and were unscathed. It was a once in a lifetime experience. It felt odd to know that everyone in town knew you were there. 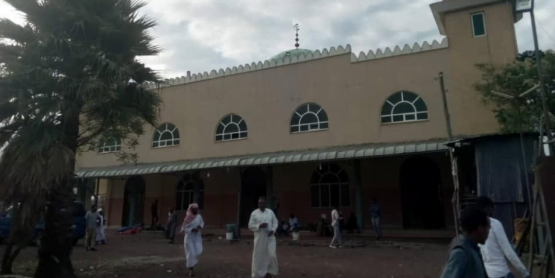 Kobor is a small town on the Ethiopian Sudanese border, a testimony to religious and ethnic tolerance. It is common having people of differing religious backgrounds within the same family. Most of my in-laws are Muslims. They’re amazing people. From near and far, family and friends came to see us. For my kids, everything was an adventure from using the bathroom to taking part in pickup games of street soccer with neighborhood kids. They took everything in stride and handled it all very well. They got along easily with everyone they met in town and made many friends. Unlike back in the states, here children run and play in the mud with pleasure until the sun disappears or they’re told to go home. Initially concerned with how they might adjust, I let my kids out to frolic about and get in on the fun. My kids got more of a kick out of the countryside than I did. The task of greeting the endless swarms of people was not so enjoyable after few days, I got jaded. I turned to my phone in a desperate search for network signal bars. The reception in this rural part of the country was very poor. I had the quaint experience going into the woods with my phone looking for internet reception. There was this one spot in the backyard with halfway decent network reception. How that one unique spot got better reception than the rest of the area I have no idea. I will leave that to the people at the telecommunications bureau to investigate. I would frequent this mystery spot to surf the internet while watching the breathtaking views of the Gara Bonii Mountain. My kids enjoyed the abundance of animals, they loved them. One morning they got the news that the goat they were playing with merely a day earlier was slaughtered. They came running to me with horror and said, “mom these people are cruel, they killed the nice cow and goat!” Trying hard to stifle laughter, I tried to explain the necessity of doing so to my children with no success. The next few days, both refused to eat any meat. They also didn’t like the fact that maids would typically eat alone away from the rest of the family as is custom in Ethiopia. Two weeks after our arrival, the best part of coming home happened. I had a life-changing tour with one of my role models, the strong-willed determined woman of character, the one and only Adde Warqe Begi. She is the founder of Terkanfii Sustainable Development whose initiatives and projects have already changed many people’s lives for the better. 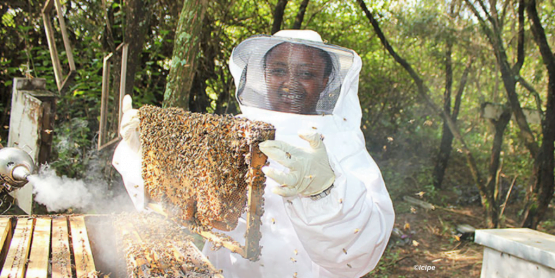 Laga Xafoo, a Finfinne suburb is one of the locations that benefited from her vision. My family and I visited the new fully furnished middle school, multiple clean waters sites, women co-op (microfinance) centers and women training centers that teach young women a variety of useful and beneficial skills. We also got a guided tour of her next project site, which is located in the town of Dukem. We headed to Bishoftu, a bustling city whose neatly paved roads bear signs of infrastructural progress. There were many resorts surrounding the magnificent lakes I visited. 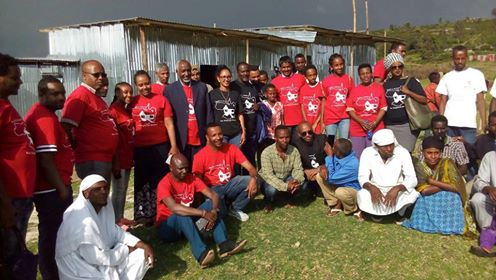 Bishoftu is where the Siiqqee International Oromo Women’s group, a group I co-founded with friends and associates, builds homes for internally displaced people in the Oromia region. 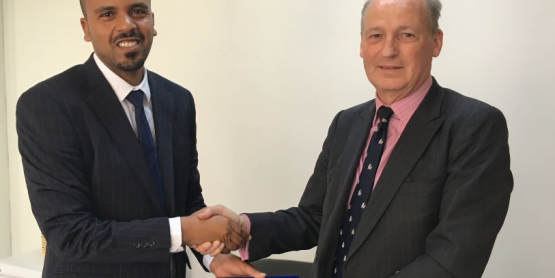 Ethiopia has a chronic communal violence problem that sadly has resulted in over a million people being displaced from their homes across the country. Today is the day I was going to see the fruit of our work to provide some of these people with shelters and accommodation. I’ve always dreamed of being a humanitarian with a vision of social entrepreneurship. I was finally afforded an up close and personal look at that vision, an unforgettable and heartwarming experience shared with my dear friends and family at my side. We planted trees for each displaced family near the homes we helped build for them. I can’t discount the feeling of being thankful for the sobering experience of meeting the women affected by the crisis. I took in the warmth of each beautiful child’s hug while lending a shoulder for beautiful and grateful mothers to feel comfort while sharing their tear-jerking experiences. It shook me. Seeing that our work as a group delivered comfort and hope to some of the country’s most vulnerable filled me with an indescribable joy and honor. I left Bishoftu with a newfound determination to come back and work harder to address the needs of these women and others who I feel had become my new family. Ethiopia has changed so much. 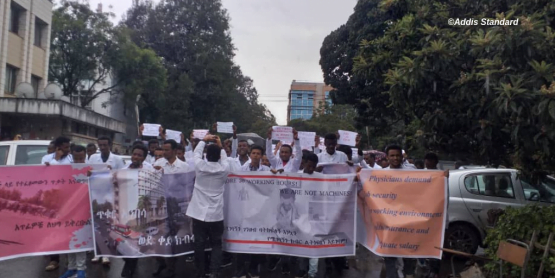 The population has almost doubled in the last three decades while Addis Abeba expanded from all four corners of the city outwards, often at the expense of Oromo farmers. We drove around the outskirts of the city for a reflective observation of this reality. I wondered what happened to the families of those who lost their land during this period of rampant urbanization. I watched people in these areas go about their daily lives and pondered what their stories of hardship would resemble. We arrived in the country less than six months after the dawn of a new era in Ethiopia. The memories of the oppression, the protests and the ensuing bloodshed are all still very fresh. The endless posters of the Prime Minister Abiy Ahmed and Oromia state President Lemma Megersa were evidence of the new day. The Oromo resistance flags and the posters seen in towns across Oromia are also evidence of the political changes. The poster and flag businesses are certainly booming. After decades of fear and intimidation, people are discussing the country’s destiny, taking proactive stances and rhetorically breathing fresh air that was polluted by cronies and a corrupt political elite for years. I also saw how in Ethiopia’s wealthy neighborhoods, diplomats and ex-officials, who deprived the people of their freedom for decades live in gated community herded off from the rest of the population. Most of their land used to be arable farmland, where proud farmers herded their livestock and rode horses. Now most of these proud farmers are the guards for the gated houses. The homeless and the beggars have overpopulated the streets. It became a challenge for me to pass by beggars, since all too often women with small children were among them – many of whom were victims of poverty or abuse. It is hard to tell. At first, I gave money to anyone who came my way. But as it became clear that I wouldn’t have enough for all, I became very selective. It feels like begging became something of a business for certain people. Numerous boutiques covered every street side. It seems everyone sells something, and every tiny open space in the city is for sale. The sidewalks of Addis Ababa’s Arat Kilo district that I used to walk are now full of potholes and parked cars. There is almost no walkway designated solely for pedestrians. There are no rules when it comes to driving. The street lines are merely symbols with no recognized authority as no one cares to abide by them. It irked me in a way similar to when I saw people cutting in the line to get SIM cards back at the telecommunications office. I asked everyone who happened to give us rides, why they tended to disobey the rules of driving. Everyone’s response was similar, if you follow the traffic rules, you will be left far behind and the last one to move.” A constant annoyance this was. Nevertheless, with all the craziness I applaud anyone who has the courage to drive in Addis Abeba. I wouldn’t drive in that city in a million years. It is just too scary for me. 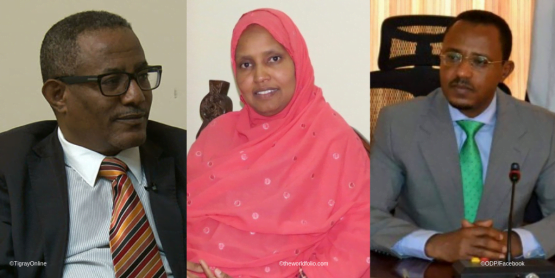 People from different backgrounds celebrate and applaud “Team Lemma,” The collective term for the team of politicians and leaders who have ascended the political ladder and implemented the reform at the political level. They are perceived to be inspired in principal by the political dogma of the Oromia State President Lemma Megersa, hence the name. Team Lemma is a popular branding given to most Oromia regional officials. I found the celebrations don’t have an underlying common denominator. The highly feted concept of “medemer,” Amharic for “addition” designated as a term meaning to put differences aside and unify as one is as enticing as it is confusing. Beyond few individuals on the higher political spectrum there is a huge lack of conversation on the topic lower down the societal ladder. Lack of communication and understanding is the cause for more confusion among the different groups in the society. 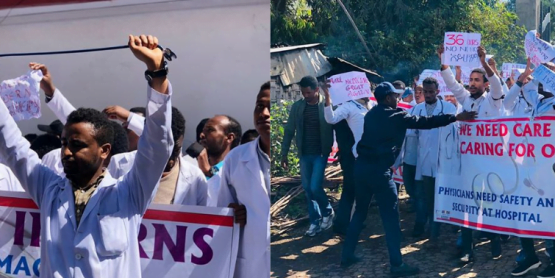 For instance, there’s no secret that the majority of residents in Addis Abeba have no clue nor appreciation of the harsh reality lived by Oromo farmers in recent years and might be only vaguely familiar with the causes that pushed countless Oromo youths to take to the streets in protest. And when these important topics are finally brought to the forefront, I sense a degree of hostility from the sheltered urban elements. 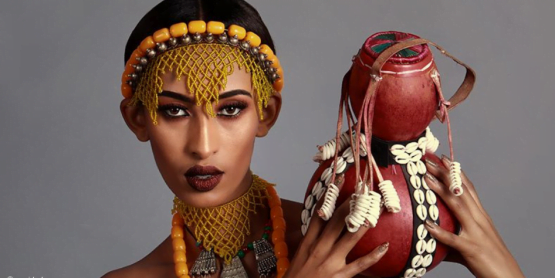 Perhaps borne of insecurity or something else, there’s an instinctive denial exhibited when one attempts to shine a spotlight on deep-rooted Oromo themed societal grievances. Despite the reform, this century old mantra of division remains instilled in far too many Ethiopians. 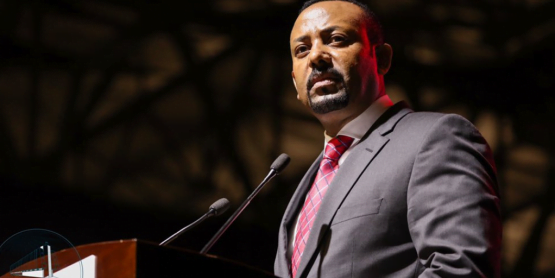 In my opinion, while Prime Minister Abiy Ahmed’s administration is trying its best to stitch the county back together, the country’s mainstream media has failed miserably in contributing to the administration’s effort. For instance, television media’s primary focus appears to be on selling their viewers Ethiopianized versions of American television programs. The likes of “Family Feud” and “Deal or no deal” are given prime time viewing slots and shows promoting discussion on pressing concerns and societal issues are few and far between. The David Letterman show itself has an imitator in talk show. If anything had to be imitated, I’d prefer it be the type of content we see with Jon Stewart or Trevor Noah. Those two entertain American youth while educating them by juxtaposing politics with a unique brand of humor. This way our youth can be participants in the crucial societal debates we need to be having. Instead, I feel that what’s on the airwaves and being pressed upon them has them idolizing western culture and undervaluing their own unique heritage. The media has a great influence and I feel it is contributing to many of our youths’ suffering, a sort of identity crisis that is compounded by lack of information and misunderstanding of the existing reality among the society. 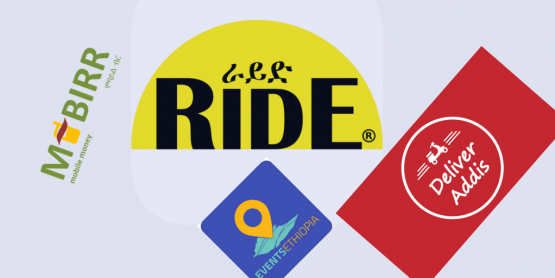 In a city like Addis Ababa I find it especially ironic that instead of local names, new schools and businesses are constantly being given western sounding names. Is it really a mystery why some flock towards all that is westernized. While acknowledging the progress of freedom of press in the country, I feel the time is now for the Ethiopian mass media to critically evaluate what they are feeding their target audience for the benefit of the society. I would like to see the media go beyond popular culture and focus on real issues that truly matter to the everyday people of Ethiopia. Something else of note I’d like to toss in. When you drive out of the city, you will encounter a growing number of abandoned horses and donkeys lingering about. I am told that they were used to pull carriages and carts but that upon developing a sickness or growing old and weak, their owners would simply abandon them. I had never seen this while growing up and this shocked me. It is otherwise inhumane and dangerous. I feel the government should contemplate drawing up animal protection policies. It’s weird to say but it’s sometimes hard to refer to the past in the past tense because the past is still vividly fresh in the collective mindset and the present has not really sunk in for some. Especially for those who are yet to see their situations change. There was so much to listen to and figure out to understand. What I confirmed for sure from talking to the taxi drivers in the capital city or the young merchants in the small town of Kobor is that everyone wants to preserve the peace and equality they earned. They’re all concerned about jobs, access to clean water, electricity and better education for their kids. They also want to live and die with a dignity. Everyone aspires to be as good as they can get. As the political power finally shifts towards the masses, the people, the economic power is still firmly entrenched in the grip of a select few. And despite all the changes coming, money still speaks loudest. The gap between rich and poor is appalling. The lack of a middle class will be a challenge for this administration. There is a lot to be done for this gap to be shrunk and for the youth to have their fair share in society. Otherwise with the population growing uncontrollably, the next wave of protests won’t be only about human rights; it will be a question of survival.